Hi all! I made this for the current MFT Color Challenge 82. I used one of the Handwritten Happiness sentiments for the background. 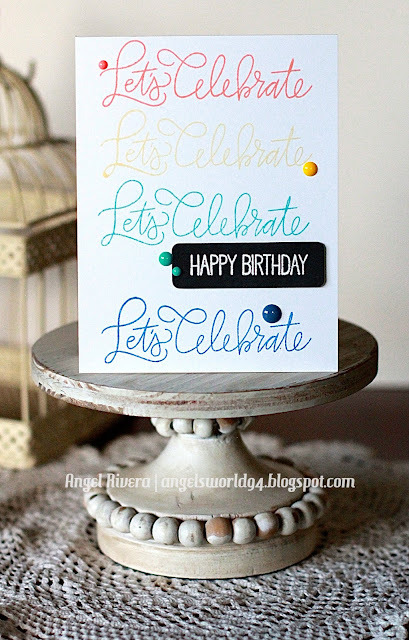 'Happy Birthday' is from another MFT set, but can't remember which, lol... :) I embossed it with white embossing powder. I added some matching YNS gumdrops. Hi all! Here's my take on the latest MFTWSC360 sketch. These Yetis will always be a favorite of mine. :) I colored him with Copics and added glossy accents to his cup (looks like white dots in the pic - so weird). 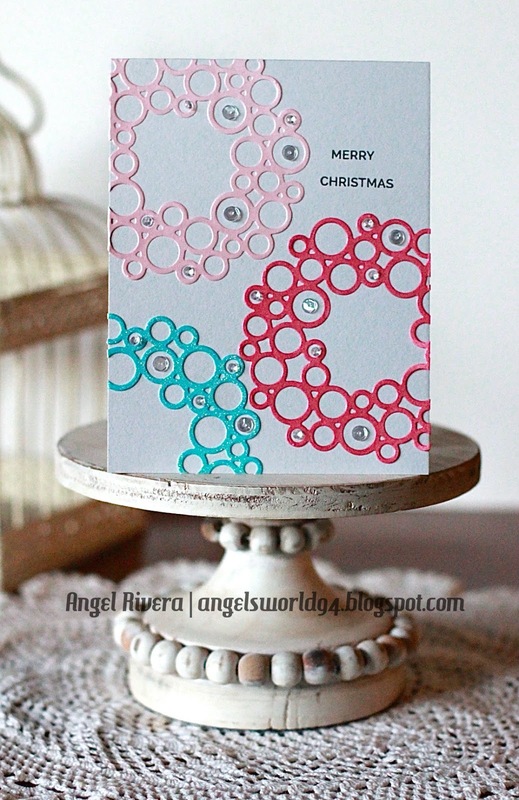 I stamped 'Be Merry' from the Snow Globe sentiments set in Sno Cone ink on Blu Raspberry card stock. I then embossed 'Warmest Wishes' from the same set in white. The 'snowflakes' above the Yeti's head are from the Santa's Elves set which I stamped with Grout Gray ink onto Grout Gray card stock that I cut out with my A2 Stitched Rectangle STAX. The card base is Lavender Fields. Hi all! Here's a card I made for the MFTWSC359 sketch. It's my first card using the super cute BB Space Explorer set. 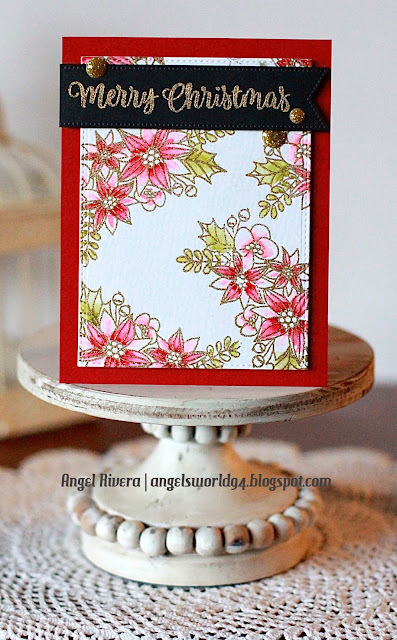 :) The background was created with Ranger Distress Oxide inks - so fun to make! I added glossy accents to the face cover of his helmet, which you can see better in the second picture. 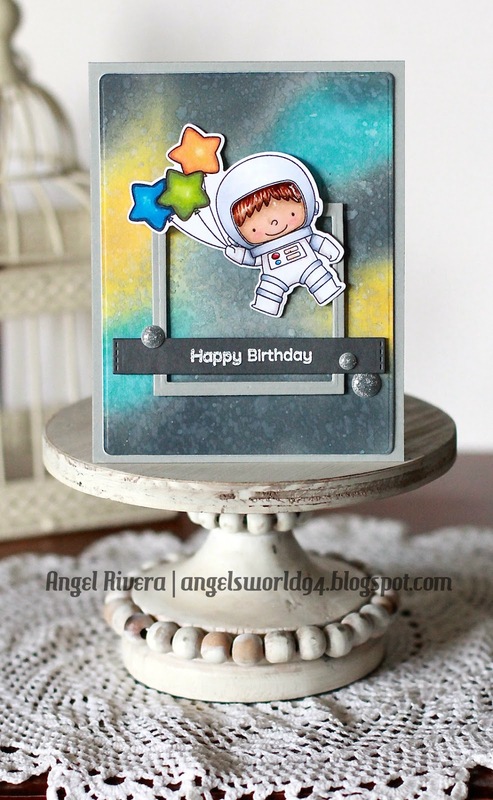 The sentiment is from the BB Bitty Bears set and is embossed with white embossing powder. Hi all! I hope this week went by as fast for you as it did for me! And that means it's time for a new CAS-ual Fridays Challenge! 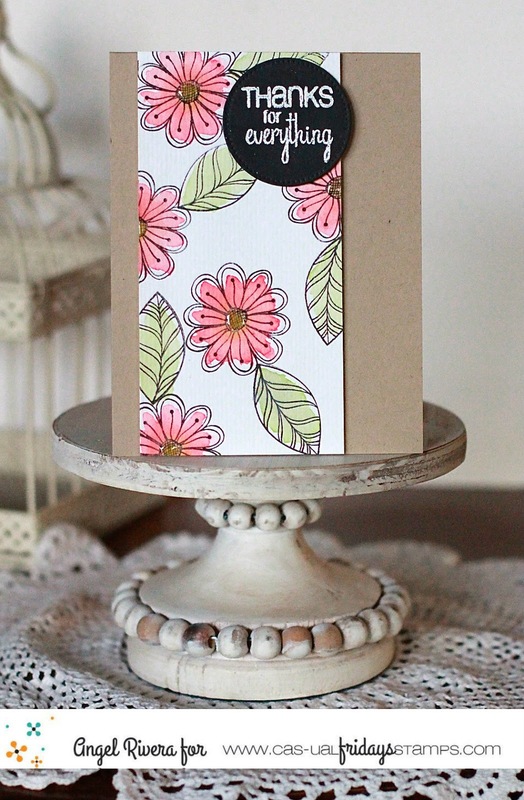 I adore this Pretty Posies stamp set! The sentiment is from as retired CAS-ual Fridays set. I did a very loose watercoloring of the flowers and leaves with distress inks on watercolor paper. I added glossy accents to the flower centers. The sentiment is embossed with white embossing powder. Hi all! I did a little crafting just for fun using some new Concord & 9th stamps and dies! Their Blooms Fill-In stamp set was irresistible! 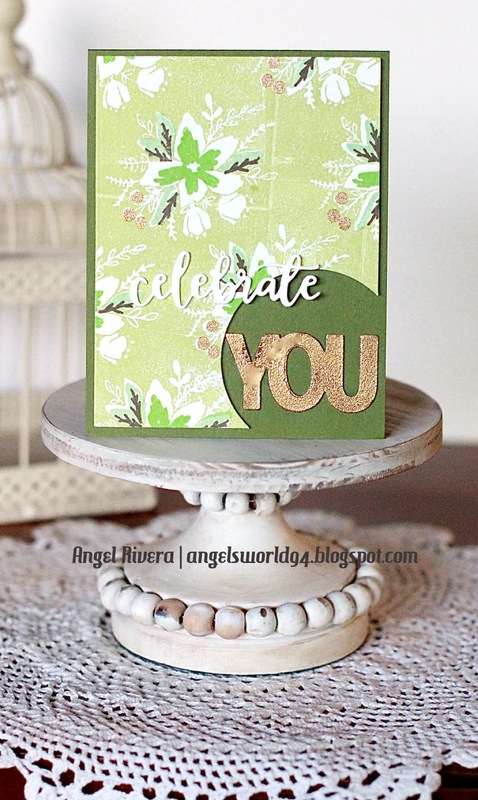 I embossed the 'You' from the All About You die set with gold embossing powder. 'Celebrate' is from the same die set and was cut out three times then layered. Hi all! Welcome to a new challenge on the CAS-ual Fridays Challenge Blog! This challenge is to create anything but a card, so I made two tags! I sponged the tags with Distress Oxide inks, then spritzed them with water. The thinking of you sentiment is from the So Pretty stamp set. The flowers and other sentiment are from a retired set. Both sentiments are embossed with white embossing powder. Hi all! I hope y'all had a fun Halloween! Not many trick or treaters here so guess who has lots of candy at home... yikes! And Holy Hannah, it's NOVEMBER! Geeeeez Louise! Wasn't it just the summer yesterday?!?!? Aright, moving on... it's time for a new challenged on The Card Concept Blog! This one will surely get you in the Christmas spirit, whether you're ready for it or not, ha! 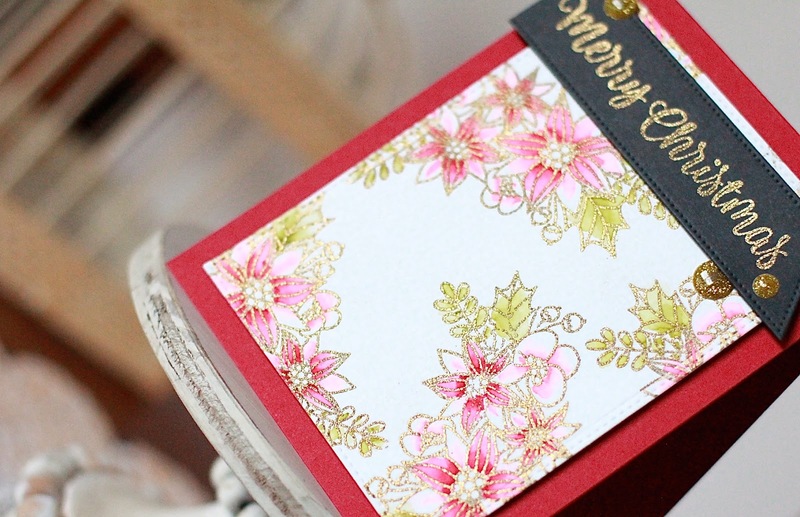 I recently got this Merry Flowers stamp set from Avery Elle and it is SO pretty! I embossed the flowers with gold EP on watercolor paper then colored them with my Zig pens and water. The sentiment is also embossed with gold EP.